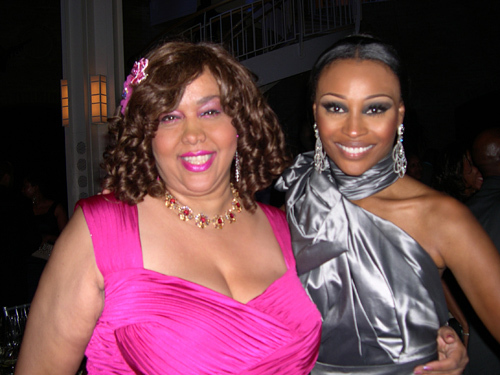 THE REAL FURBULOUS HOUSEWIFE: Wedding for New York fashionista CYNTHIA BAILEY who is now a Real Housewife of Atlanta. At the Fernbank Museum of Natural History in ATL. Also in attendance, menswear designer Shaka King who has relocated there and Cynthia’s former “Heartbeat” actor LEON still reggae-rockin’ on the East Coast. 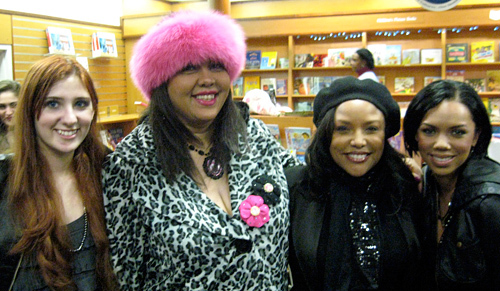 Sashay, Party: Feline author Deborah Gregory with Kiely “Aqua” Wiliams, singer Alyjah Jade (Tse Williams of Nine Lives Entertainment’s fabbie new find), diva Lynn Whitfield at Gregory’s chocolate tasting/signing to celebrate the release of Catwalk: Strike A Pose (Delacorte Press) along with Los Angeles-based chocolatier Susie Norris’s new book, Chocolate Bliss (Celestial Arts) at Hue-Man Bookstore and Cafe in Harlem. Norris created the scrumpalicious Catwalk Crunch for guests for the occasion. Catwalk and Kitten cocktails were also served. 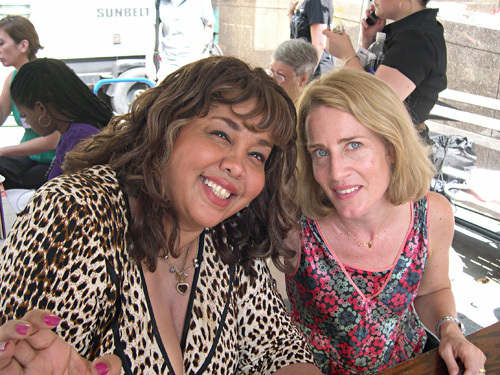 CATTY AND CHATTY: Authors Deborah Gregory (The Cheetah Girls and CATWALK) and Cecily Von Ziegesar (Gossip Girl) were the dynamic duo presented at the WICKED AND WITTY panel during the 4th annual Brooklyn Book Festival in Borough Hall and Plaza. Meowch! 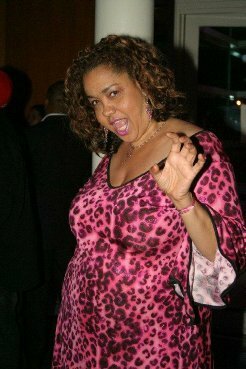 Speaking of DIVAS, they were out and about this week at “Cheetah Girls” best-seller Deborah Gregory’s book party, held at FashionOpolis Lounge in the Laboratory Institute of Merchandising for her latest tome “Catwalk”, a brand-new book series targeting children, tween, and teen girls (www.cheetahrama.com). 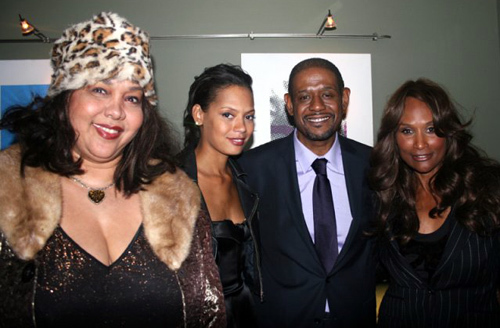 Supermodel Beverly Johnson was the Host for the purrlicious evening at the CATWALK by Deborah Gregory launch party…Meowch! Ebay Style Director, Constance White, Maroon’s restauranteur Mechel Thompson and photographer Tar were crossing paws at the Catwalk launch party. 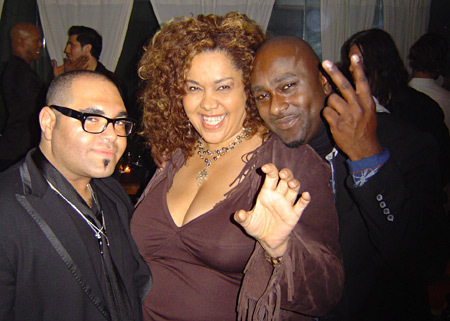 Pictured here, the feline fatale of the hour, author Deborah Gregory with uber author Terry McMillan and journalist Patrick Riley. 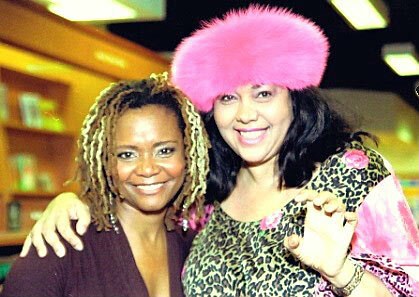 The purrlicious fans were present at the Catwalk by Deborah Gregory book launch party event. 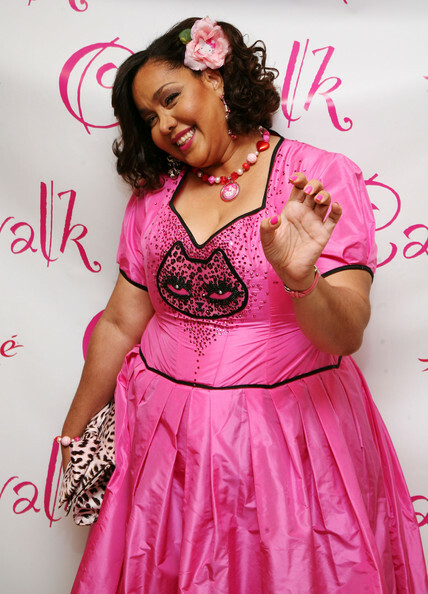 Gregory’s feline fatale creation: a pink silk taffeta corset dress was designed by costumer Garo Sparo, who created the show-off spotty numbers for the Cheetah Girls during their 87-city concert tour. PURRFECTO! 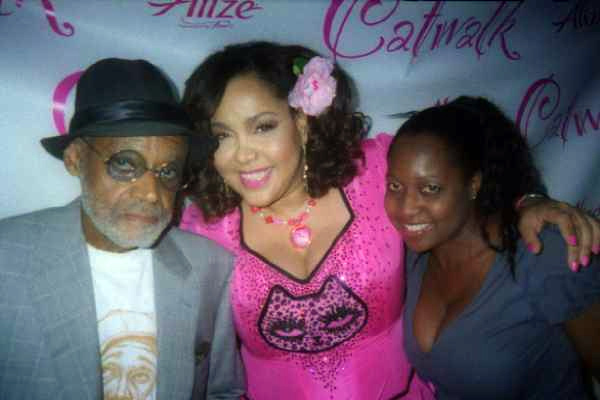 Deborah Gregory with legendary filmmaker Melvin Van Peeples and journalist Monica Peters Medina at the launch party of her new Random House young adult novel, CATWALK held at Laboratory Instittute of Merchandising in Manny Hanny. 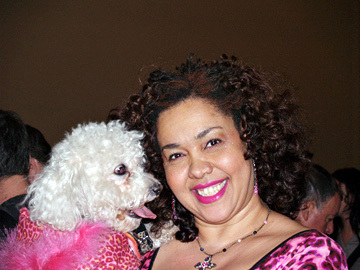 Writer Deborah Gregory attends her book release party for “Catwalk” on June 25, 2008 at the Laboratory Institute Of Merchandising in New York City. 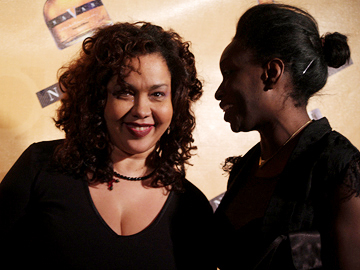 TUNED IN: Actress Tamara Tunie celebrates her Boulevard Magazine cover at Hawaiian Tropic Zone in Times Square. 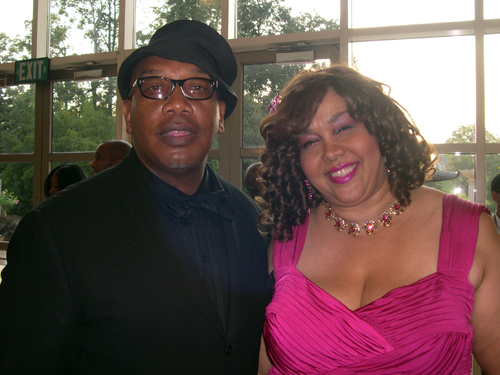 With thespian friend Phillip Christian. ESSENCE LITERARY AWARDS At long last, the magazine responsible for highlighting the best of our literary landscape has created a fabbie forum: the first annual Essence Literary Awards which was held at the Parker Meridien Hotel in NYC. 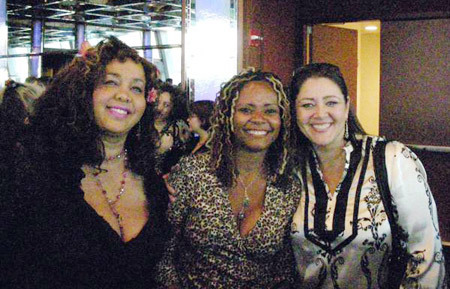 Joining Lynn and I in the photo are author, producer Lyah Le Flore (who was nominated for co-authoring the Eddie and Gerald Levert memoir; and actress-author Vicky Rowell, nominated for her touching memoir, The Women Who Raised Me. 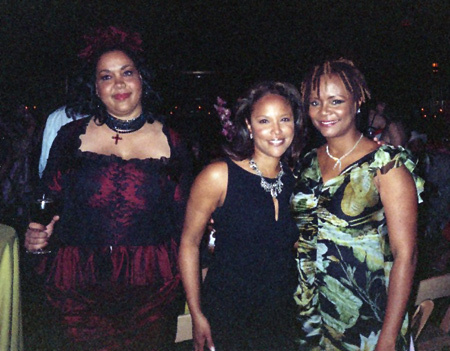 CAROLINE, OR CHANGE At the Broadway premiere of Caroline, or Change with Lynn Whitfield and Tonya Pinkins. Pulitzer Prize-winning playwright Tony Kushner immortalized the experience of the Black maid pre Civil Rights movement in his semi-autobiographical play. 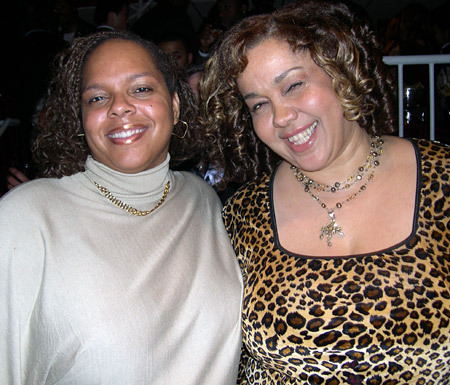 SHOP IN THE NAME OF LOVE Pre-destined: Deborah Gregory with singing girlitas–Destiny’s Child in 1998–in their Houston hometown. Gregory was there penning an article on the duo for Essence magazine and confesses that they were indeed the inspiration behind her 16-book tween novel series, “The Cheetah Girls.” Time spent there with the destiny divettes included shopping at the infamous Galleria (hence the name for the lead character in Cheetah Girls) and sucking up crawfish together at the infamous Papa Deaux’s. 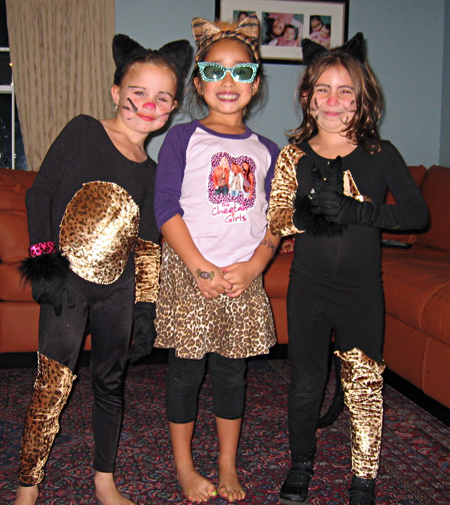 CHEETAH GIRLS SIGHTINGS Halloween will never be the same now that cheetahlicious girlitas around the globe like Skylar and her posse can’t resist the temptation to show off their spots on the hallowed day and otherwise…growl power forever!! 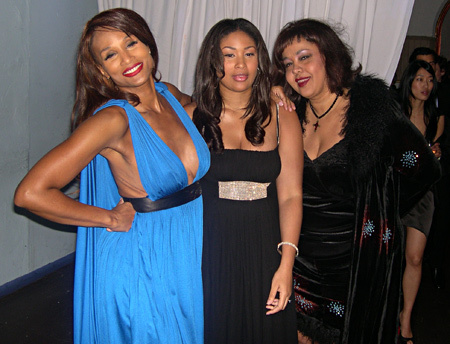 YOU’D BETTER WORK SUPERMODEL Deborah Gregory with supermodel Beverly Johnson and her daughter, Anansa, at the Wilhelmina 40th anniversary event. Beverly has re-signed with Wilhelmina and Anansa has joined the plus size division. MAKING HISTORY! 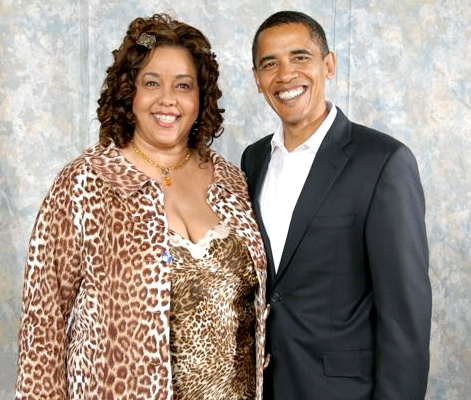 Author Deborah Gregory with the first black President of America, Barack Obama. Photo by: E. Lee White. CHEETAHLICOUS!!! 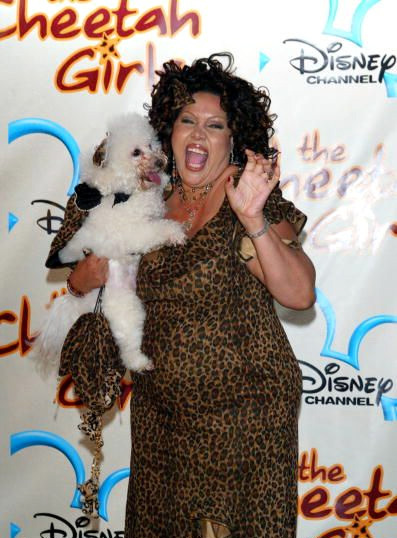 Deborah Gregory, author and creator of THE CHEETAH GIRLS with her beloved pooch Cappuccino (who plays the Cheetah GIrls mascot, Toto) at the CHEETAH GIRLS movie premiere in Manny Hanny. Tie One On: I love fashion week which wrapped up at a night at Cipriani’s. 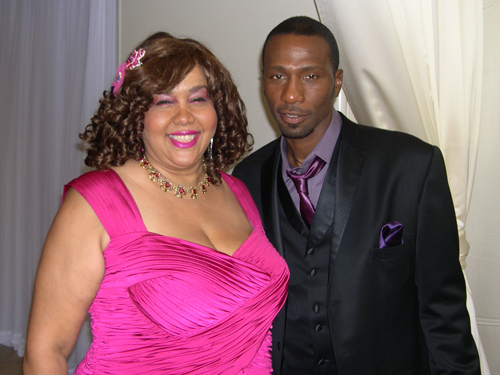 This year, my LaLa land friend, actor Walter Franks was in town to hawk his girlfriend, Andriana’s TIE-ONE-ON couture–dresses chicly made from men’s neckties. Glamazon Girls: My darling friend singer Allison Tilsen and I attended gala after the trunk show for London-based designer Anna Scholz at the Paramount Hotel. 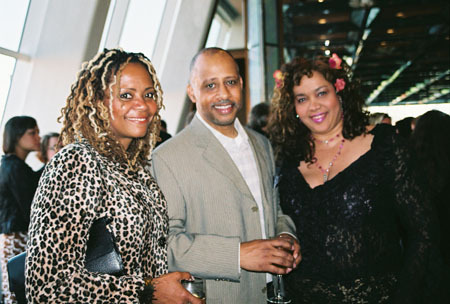 DOWNTOWN DRAMA: Tonya and I hanging with Camryn Manheim and Ruben Santiago Hudson at the 2007 Obie Awards–which gives “props” to works on the Off Broadway theater scene. Check out the BroadwayWorld.com coverage. RADIO GOLF: At the Carter Center debut of playwright August Wilson’s last hurrah completing his millenium examination of African American life in Philadelphia. 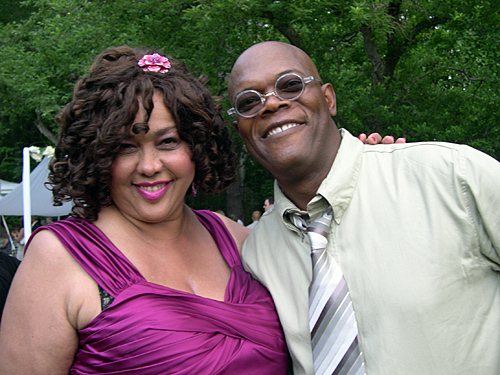 With August’s daughter, Sankina Wilson. 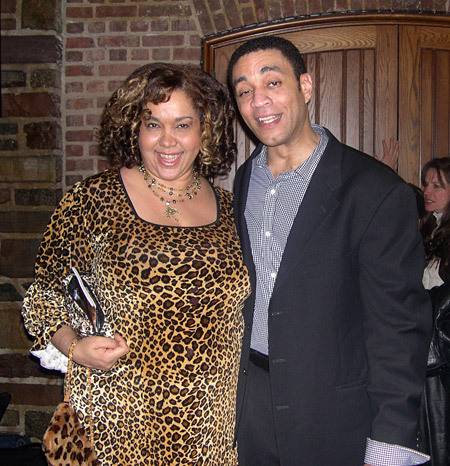 And co-stars, Harry Lennix and my darling girlfriend, Tonya Pinkins. 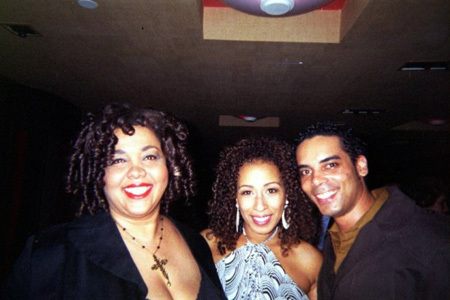 THE COLOR PURPLE Premiere party at Spotlight for the Broadway musical. 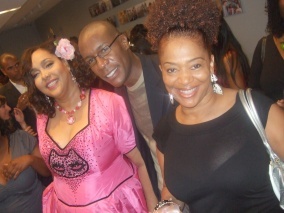 Tonya and myself with NaTasha Yvette Williams who plays the indomitable Sofia. 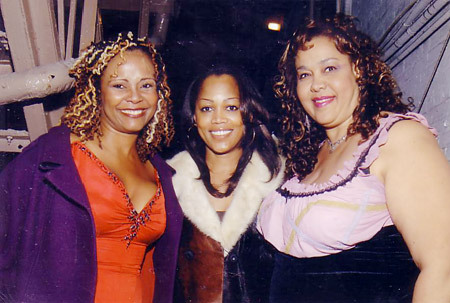 WISHING ON A STAR Deborah Gregory with the “original” Cheetah Girls. 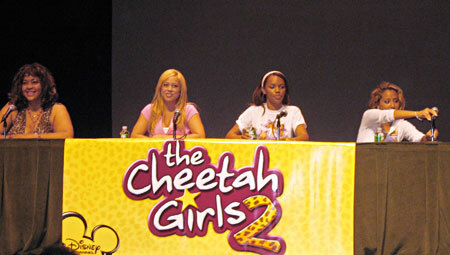 Photo was taken at the photo shoot for the original book covers of “The Cheetah Girls” book series. 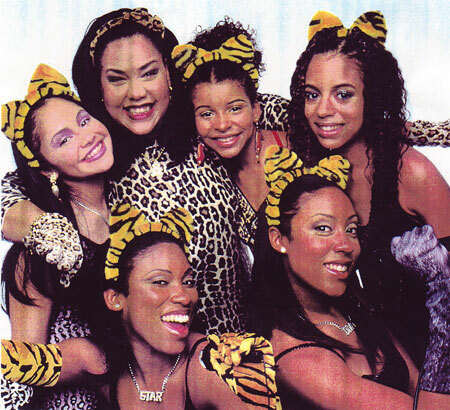 I always think of these cheetalicious divettes whom I handpicked for the covers as the orignal Cheetah Girls: Mia Lee, Arike Rice and Jeni Rice were part of a singing group called Before Dark. 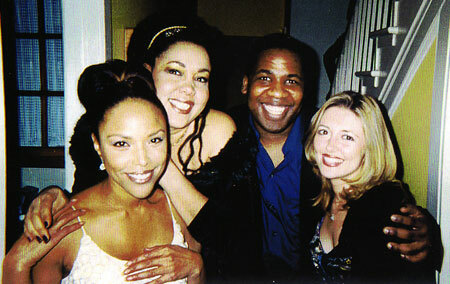 Imani Parks (who at the time was starring in “The Lion King”) and adorable Brandi Stewart was a budding ballerina. ANO NUEVO It’s another year. 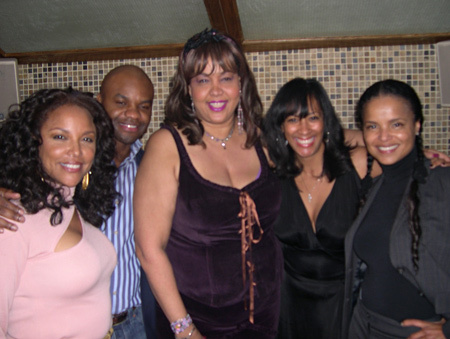 Noshing on black eye peas for good luck with my darling friend, Lynn Whitfield (who plays Galleria’s Mamacheetah Mom in “The Cheetah Girls”) as well as Patrik Henry Bass, literary brillanteur and his guest, Carole Buia. 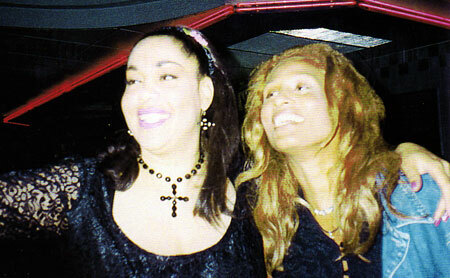 THE BLONDER DAYS Deborah Gregory with fellow fashionista, Beverly Johnson who has settled into her new sprawling digs in La Quinta, California. AMERICA’S NEXT TOP STYLIST Deborah Gregory with her best friend Nole Marin at his birthday party (he is the judge from America’s Next Top Model and father to pomeranian pooch Empress Mini who is toted in Prada bag wherever the busy celebrity fashion stylist travels). Birthday bash fashion show was held at Nikki Beach where we have hung out on several occasions in Miami Beach. 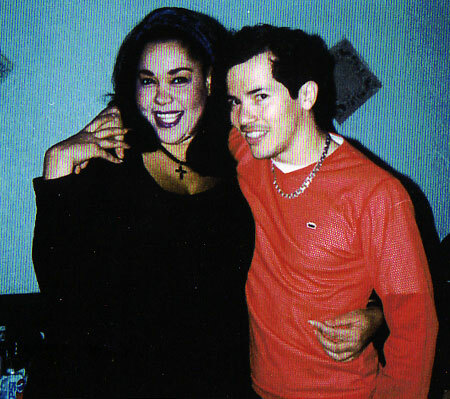 On right is celebrity makeup artist, Aaron Mitchell who beats Lindsay Lohan’s cherub cheeks. 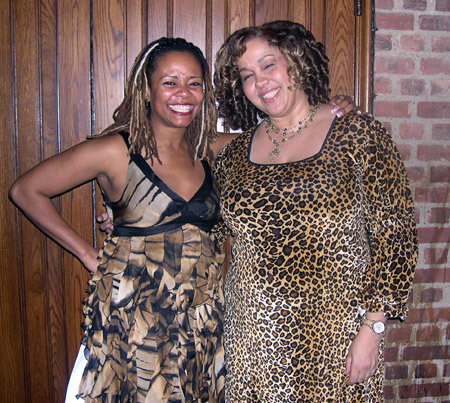 YES, WE’RE CHEETAHLICIOUS! 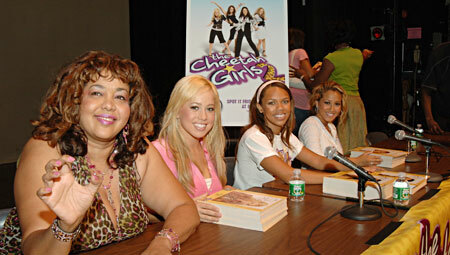 Cheetah Girls creator and author Deborah Gregory shows her spots with the Cheetah Girls–Adrienne Bailon, Kiely Williams and Sabrina Bryan–at the Cheetah Girls 2 screening event, which was part of Ebony magazine’s “Hollywood in Harlem” film festival at the Schomburg Center in the Big Apple. 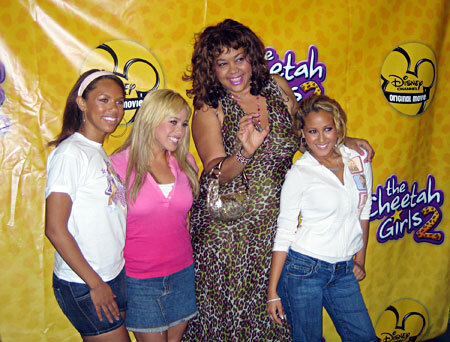 GROWL POWER FOREVER: Cheetah Girls creator and author Deborah Gregory shows her spots with the Cheetah Girls–Adrienne Bailon, Kiely Williams and Sabrina Bryan–at the Cheetah Girls 2 screening event, which was part of Ebony magazine’s “Hollywood in Harlem” film festival at the Schomburg Center in the Big Apple. WHO YOU CALLING A DUMMY? Deborah Gregory and runway legend Pat Cleveland at the Rootstein Mannequin 50th anniversary shindig, unveiling the new mannequin with the former Halston and Stephen Burrow muse’s likeness. 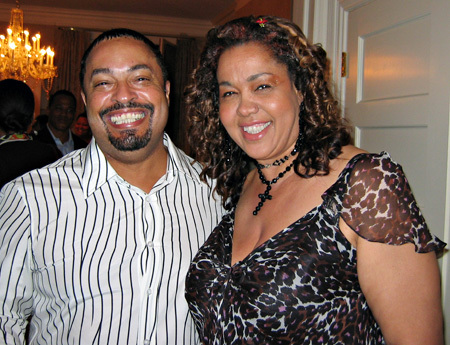 WORD UP: Deborah Gregory with fellow scribe, E. Lynn Harris–welcoming him back into the Big Apple fold at book party for his latest novel, “Say A Little Prayer.” We will really miss you E.Lynn. 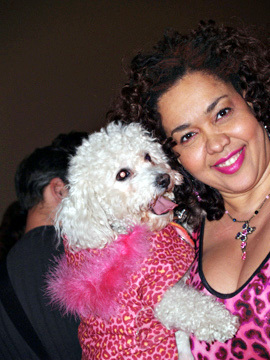 Woof, There It is: Deborah Gregory and her boo, Cappuccino at THE New York Dog magazine shindig at the W Hotel in Union Square. Gimme Shelter: Writer-performer Deborah Gregory with award-winning documentary filmmaker, Albert Maysles, at the art exhibit of former Andy Warhol Factory member, Ultra Violet. 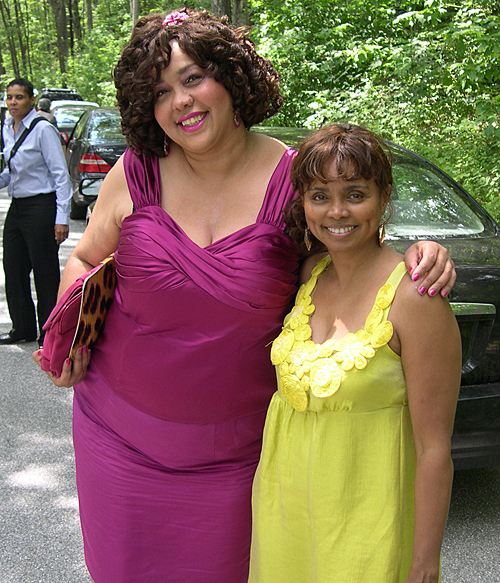 Get Over Yourself: Deborah Gregory (right) with girlfriend, actress and Tony Award winner, Tonya Pinkins, at book signing for her new self-help guide. 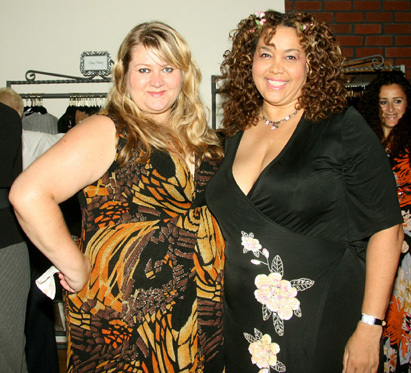 Klum Groom: Deborah Gregory with Zulema Griffin, competing designer on season two of Bravo’s “Project Runway” at the Navan Cognac launch party.